It's a cold and blustery day today, and I'm making winter soup. Which reminds me of my Short Soup story. So what is short soup anyway? Some people know it as wonton soup. Basically it’s a Chinese dish of dumplings filled with pork mince and tasty seasonings served in a clear broth. 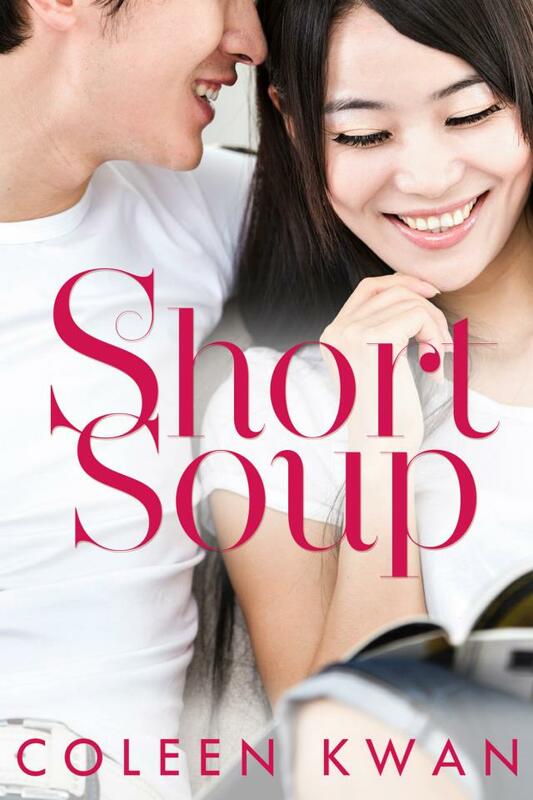 It's delicious comfort food, and it seemed like an apt title to my story about two Australian-born characters whose parents jointly own a Chinese restaurant. Toni Lau and Dion Chan have been lifelong friends growing up together in a small seaside town. Toni moved away, first to study and then, after her marriage, moved abroad to work. Dion, on the other hand, stayed behind, seemingly unambitious. Now, after a five year absence, Toni is newly divorced and back in her home town for a little R&R. But things have changed while she’s been away. Dion is taking over their parents’ restaurant and he seems to have definite plans for change. More disturbingly, Dion himself has changed, and Toni begins to find herself inconveniently attracted to this new Dion. As their bodies met, she found herself tensing. Over the years she’d received hundreds of hugs from Dion. But this one felt different. Now she was hyper-conscious of his physicality. His biceps were rock-hard, his chin rough stubbled, the mound of his shoulder disturbingly smooth. He smelt of sea and masculinity. Unfamiliar. This wasn’t the Dion she used to know. She pulled away, perplexed. The words sounded flat, rehearsed. She couldn’t decide whether he meant it or not. Dion barely knew her ex-husband. She’d met Nick at Sydney University where they’d both been studying commerce. Nick’s busy social calendar meant he’d only accompanied her to Piper Bay a handful of fleeting occasions. Soon after graduation, she and Nick had married and migrated to London, both of them landing jobs at the same investment bank. They were going to work and travel all over the world, forging their careers, then when they tired of globetrotting they would return to Sydney, buy a house together and start a family. So much for their dreams. “That’s what I keep telling myself.” But it didn’t always help. He shot her a sharp glance, his eyes not soft any more. He looked like he was about to say something, but at the last moment he changed his mind and shook his head. What? she wanted to challenge him. What were you going to say about Nick and me? I need to know. But he turned away to pick up his beach towel, leaving her to stare after him in disappointment.